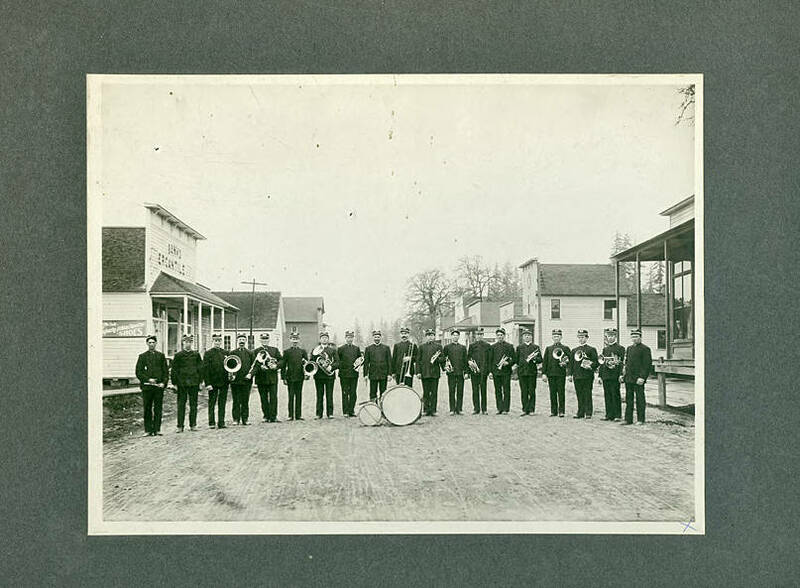 Black and white image of a band standing in a row across an unpaved street. On a building behind them the words 'Banks Mercantile' can be read. Most of the men hold brass instruments, baritones, French horns, and trumpets. In the center of the image is a large bass drum. [back] [pen] Banks Band in Banks in the early days. Can you find W. O. G. in Picture? This side to left. Tom Ingen, Otto Galaway, Chas. 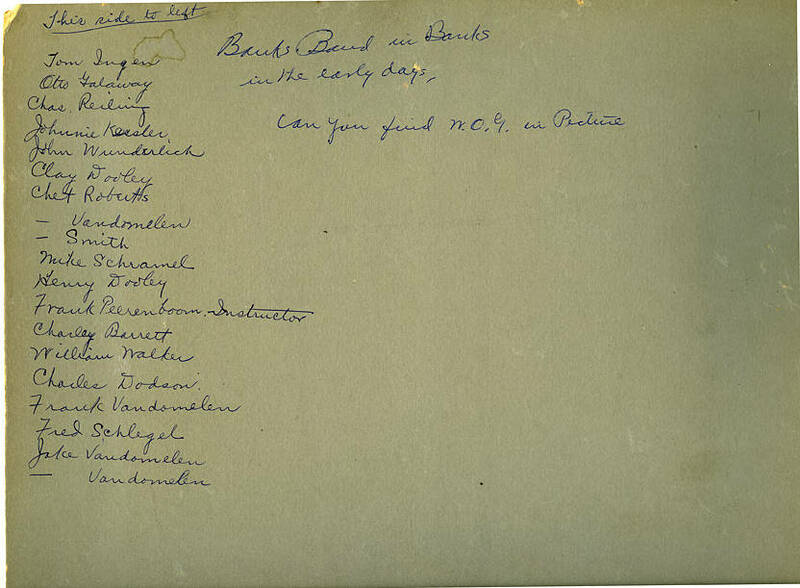 Reiding, Johnnie Kessler, John Wunderlich, Clay Dooley, Chet Roberts, [blank] Vandomellen, [blank] Smith, Mike Schramel, Henry Dooley, Frank Peerenboom (Instructor), Charley Barrett, William Walker, Charles Dodson, Frank Vandomelen, Fred Schlegel, Jake Vandomellen, [blank] Vandomelen.